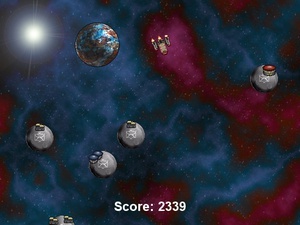 Galactic Mail is a simple space-themed game where you must travel to all of the moons on the screen to deliver all of the mail to each one in order to pass the level. After all of the mail is delivered, you can then travel to the planet to pass. 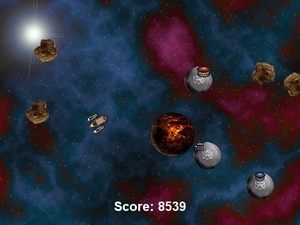 Galactic Mail is one of the nine games Revolution Games did not create. They were originally created by Mark Overmars, and Jacob Habgood for The Game Maker's Apprentice.